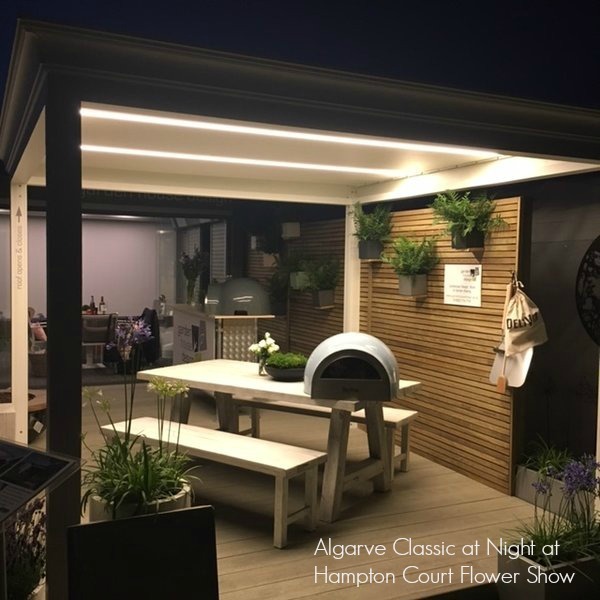 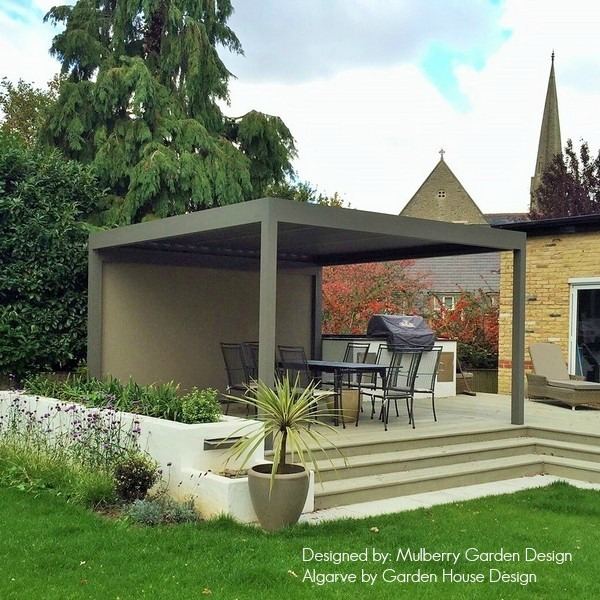 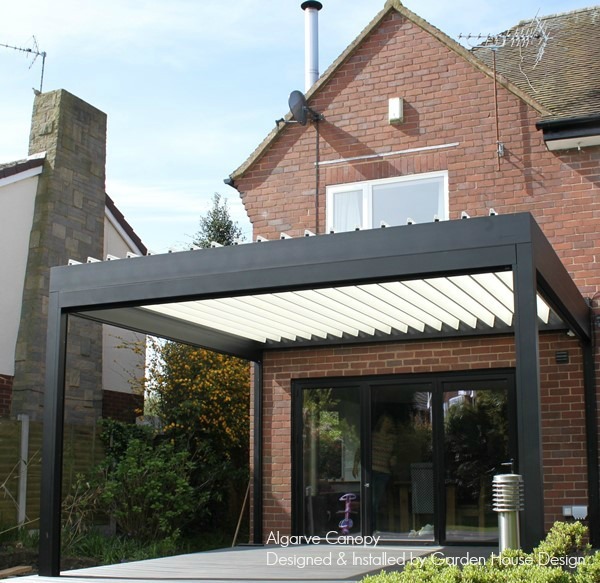 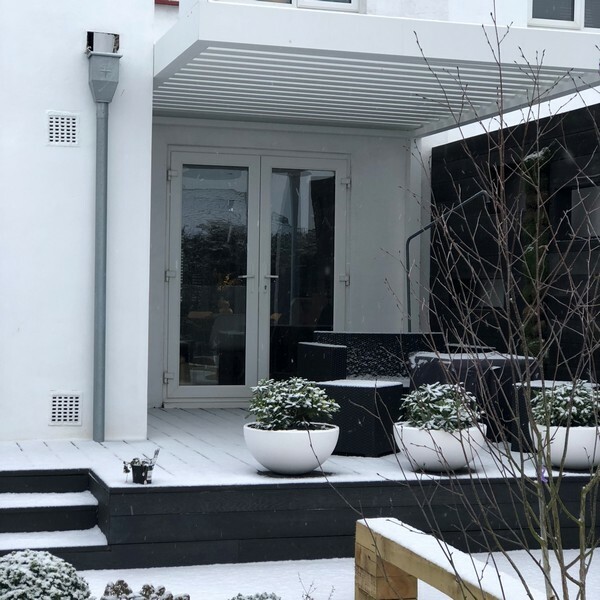 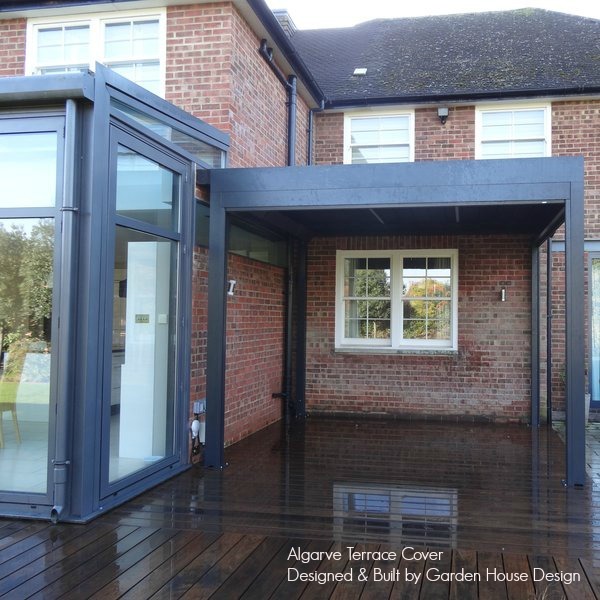 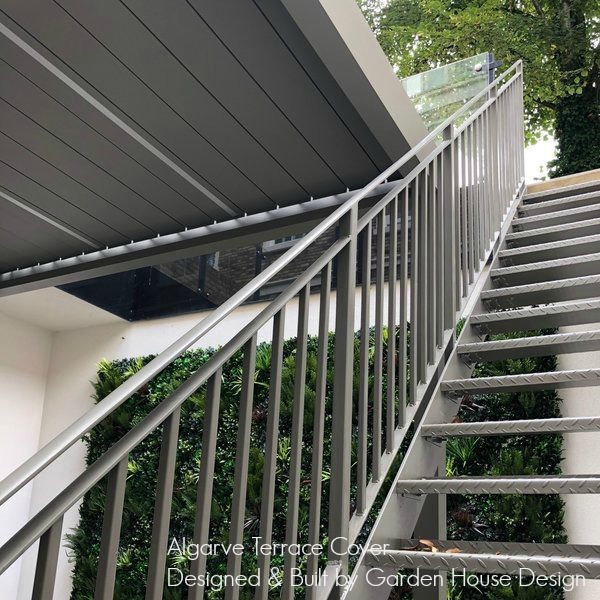 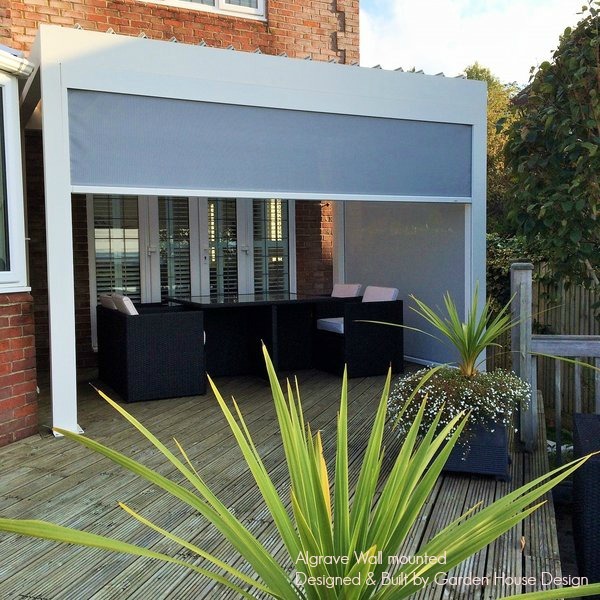 Introducing some recent Algarve® Louvered Canopies designed and installed by us, helping to enhance outdoor living spaces with modern design of a watertight canopy. 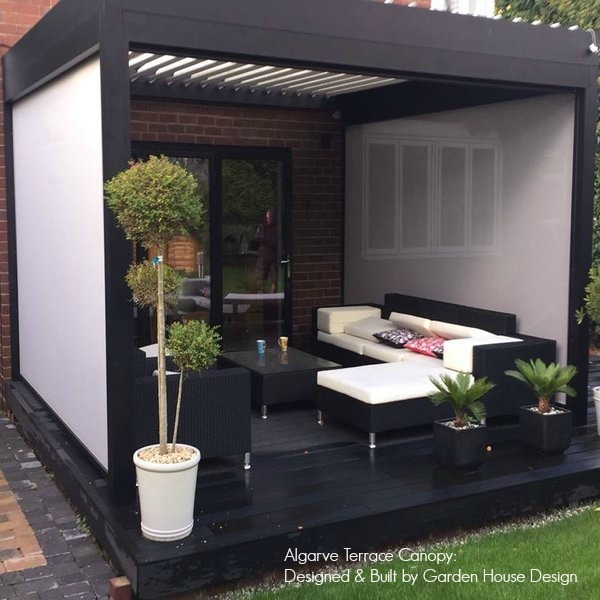 With horizontal sun and water resistant roofs with tiltable aluminimum blades making living outdoors even easier. 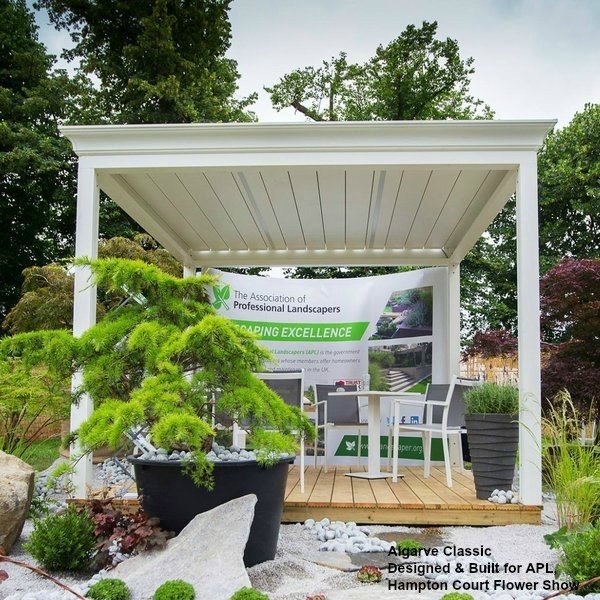 If you would like more details, just give us a call! 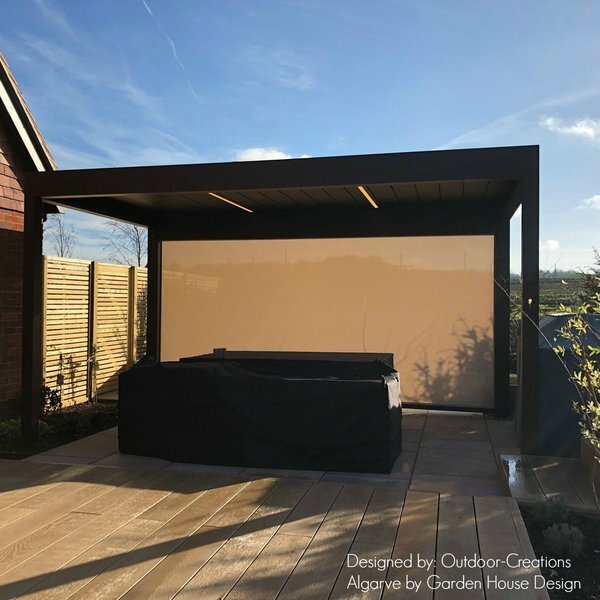 Garden House Design are proud to be RENSON® Premium Ambassadors allowing us to give expert advice, accurate quotations and design and manage full installations to include any required groundwork. 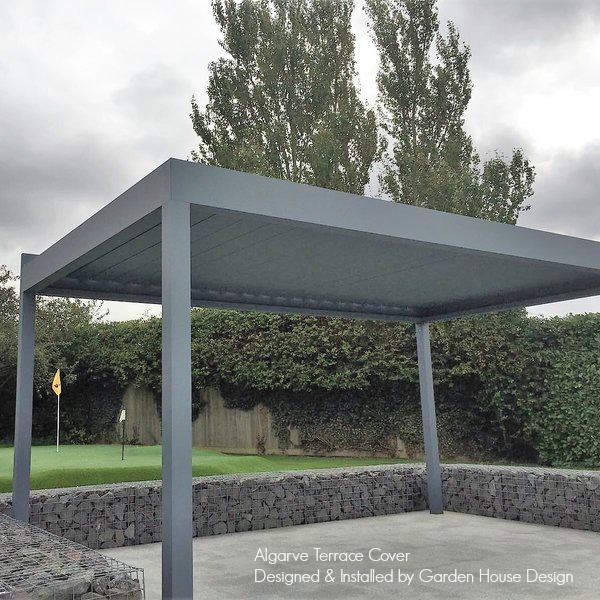 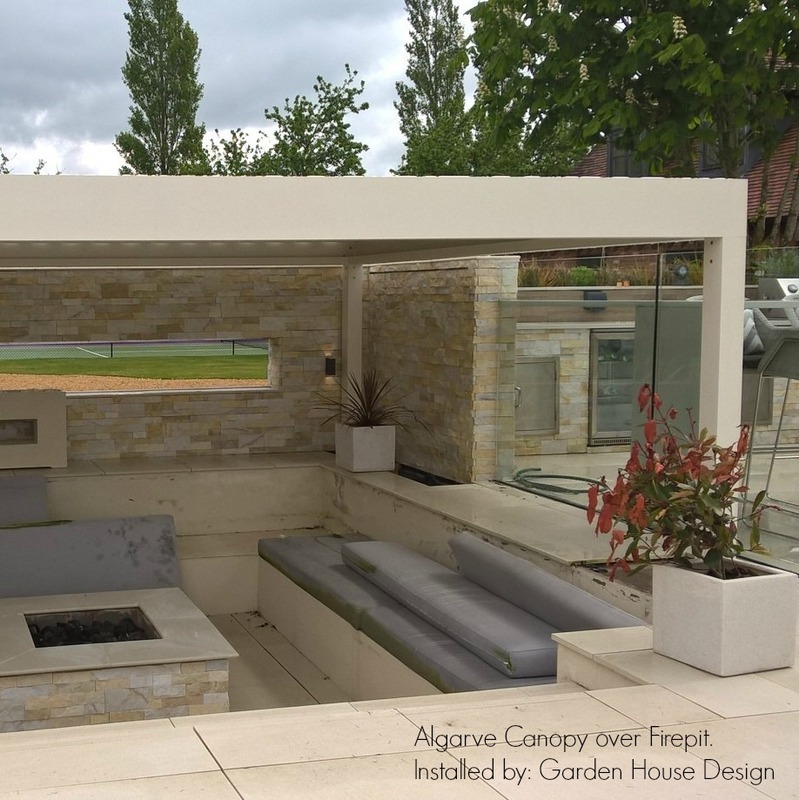 design 11: Free Standing Algarve Canopy over patio area with gabion walls. 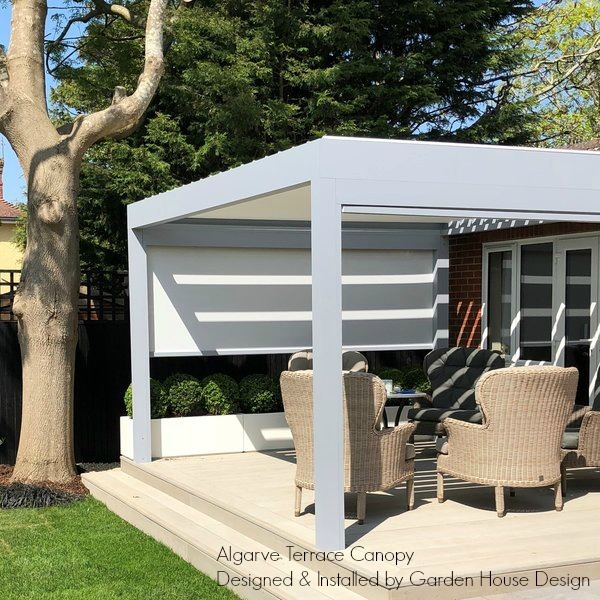 design 12: Free Standing Algarve with automatic fix screen blinds to keep out the wind and rain.